IP Finance is pleased to welcome back Keith Mallinson, whose guest posts on patents, standards and FRAND licensing in the telecom sector have been read with great appreciation. This piece takes a look at the realities of licensing through the prism of Judge Randall Rader's "trolls and grasshoppers" analysis. Keith ends by calling for patience while existing licensing practices under the current law work things out. There is a lot of pending patent litigation in mobile communications with 3G and smartphone technologies. This includes standard-essential and other patents, practicing entities that produce products and non-practising entities (NPEs) who do not. Numerous suits and countersuits in several nations between Apple and Android device producers Samsung and Motorola Mobility are particularly prominent. In addition, for example, NPE IPCom acquired a portfolio of mobile phone technology patents from defunct mobile phone manufacturer Bosch; and has vigorously pursued HTC, Nokia and others for royalties. Smartphone ecosystem participants are jockeying for position in a new order with a rapidly changing and expanding ecosystem. This indicates an industry in rude health, not malaise. Following lacklustre mobile phone market developments beyond voice and text until the mid 2000s, the smartphone revolution began in earnest with the introduction of Apple’s iPhone in 2007. Previous smartphone market leaders Nokia and RIM have been completely up-ended by the rise and new leadership from Apple and Google’s Android including its many licensees. Meanwhile, this IP-rich industry is flourishing: innovation continues, customer choice is increasing and sales are booming for smartphones and other smart devices such as tablets. Smartphones and tablets are becoming the primary means of Internet connectivity with applications, services and usage levels that were unthinkable just a few years ago. Yet there are interventionist moves afoot to prevent allegedly harmful behaviour by patentees, particularly with respect to enforcing their rights in standard-essential patents (SEPs). In addition to interested parties and commentators, European and US competition authorities are also weighing-in publicly on this matter. Knee-jerk reactions by the latter that would overturn long-standing legal rights and remedies would be a grave mistake. The patent system including licensing of (F)RAND-based SEPs has worked extremely well. There is no reason to presume that current levels of smartphone IP litigation are more than a transient phenomenon, or that licensing offers prior to consummated agreements are anything abnormal in the cut-and-thrust of licensing negotiations that typically result in concessions, compromises and cross-licensing. There is no evidence of consumer harm--suspension of sales through injunctions has been minimal--or that outcomes, following the machinations of negotiation, litigation and in some cases commercial court rulings will be unfair, unreasonable or discriminatory. NPEs that are solely in the business of asserting patents, typically acquired from others, are politely referred to as Patent Assertion Entities (PAEs) and disparaging as patent trolls when demands are regarded excessive and unreasonable. However, the latter are somewhat like the fantasy creatures after which they are named: they cause a lot of commotion and scare some folk, but tend not to receive what they demand and ultimately get their comeuppance. 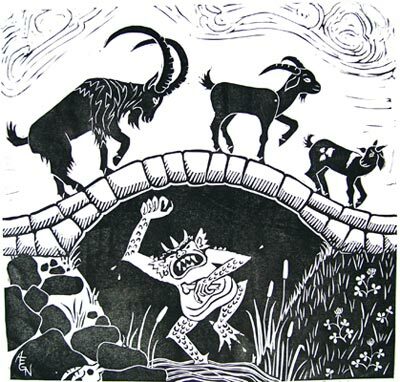 The troll in the Billy Goats Gruff tale hid under a bridge to ambush the goats and threaten to “gobble them up” as they tried to cross the stream. However, the troll met his match with the largest of the three goats who threw the troll into the stream out of harm’s way and never to be seen again. Remarks by Court of Appeals Chief Judge Randall R. Rader in a conference speech last fall provided an astute perspective on extreme behaviours and outcomes in patent cases including trolls and their opposites the “grasshoppers”. “Of course, before we can control trolls and grasshoppers, we have to know who they are. And again, OF COURSE, that is the difficulty! Even some Supreme Court justices have referred to the non-practicing entity, the proverbial NPE. We also all understand that the NPE designation sweeps in some unintended “culprits” like universities and research clinics and can also extend to almost every corporation and business because they practice only a fraction of their patent portfolio. For that reason, I have always preferred an alternative definition of a “troll,” namely, any party that attempts to enforce a patent far beyond its actual value or contribution to the prior art. Every “troll” discussion, however, needs a note of balance. Just as trolls litter the patent system with marginally meritorious lawsuits, so the system also suffers from the IP “grasshopper.” The IP grasshopper is the entity that is quick to steal the “inventor-ant’s” work and research investment because he did no work himself and the winter of competition approaches. We can recognize the grasshopper because he refuses to pay any license fee until his legs and claws are held to the proverbial litigation fire. Once again, a grasshopper is hard to define, but I can venture a description according to the same basic notion that helped us identify the troll: A grasshopper is any entity which refuses to license even the strongest patent at even the most reasonable rates. When NPEs attempt to enforce their patents beyond their worth they typically fare poorly with court judgments. For example, in the long-running telecoms patent dispute between Nokia and IPCom, the High Court for England and Wales has recently ruled that IPCom’s European patent (UK), which related to the handover of mobile phones between different base stations (e.g., when the mobile user is on the move), was invalid as originally granted. According to Nokia, and as reported by the IPKat, this “marks the sixtieth patent invalid as granted since IPCom began its aggressive campaign against Nokia and other industry players more than four years ago”. Academic research also indicates that NPEs almost never win their cases in court. A 2010 paper by Allison, Lemley and Walker indicates that whereas product-producing entities win 40% of their cases on the merits, NPEs win only 8% of their cases. Given that out-of-court settlement figures tend not to be disclosed publicly, it is anyone’s guess how large payments are in these cases. He proposes that when the case is over and the court can identify a troll or grasshopper, there should be a full reversal of attorney’s fees and costs. This would, for example, discourage plaintiffs from using discovery (costs) as a tactical weapon. Costs defending meritless claims are generally significantly less outside the US. For example, in the UK the loser typically pays the costs and US-style discovery is not possible in continental Europe. Extreme demands by practising and non-practising entity patent owners seeking unreasonably large sums for weak patents and extreme resistance by product-makers who refuse to pay a fair price for the IP they exploit are mostly kept in check by the courts, as indicated by Judge Rader. Large payments can grab press attention, but these are the exception and can result from tactical blunders by defendants who could have settled sooner at lower cost. RIM’s agreement to pay the NTP $612.5 million in a “full and final settlement of all claims” is the most well-known NPE settlement in mobile communications patent litigation. This dispute was not about SEPs. RIM could have avoided paying so much if it had not painted itself into a corner with the imminent prospect of having its email system shut down to the detriment of anxious customers, such as the US Department of Defense with its concerns about maintaining national security. Competition authorities should have the patience to let the existing patent laws, established licensing practices with bilateral negotiations and, when necessary, commercial courts, work things out. The smartphone marketplace is in significant flux. No company or companies have anything like market dominance or the large and stable market shares observed elsewhere, such as in PC operating systems or microprocessors. There is no proof of patent “hold-up”; in fact, aggregate SEP royalties have fallen as standardisation has progressed in mobile technologies. Absent proven market failure or consumer harm, the market should be left to establish absolute values in patent licensing, or relative values for SEPs versus other patents. Alternatively, regulators would be drawn to employ simplistic analysis that overlooks the money invested and value derived from IP versus commodity costs in hardware manufacture. They would likely impose arbitrary royalty rate caps and subjective patent evaluations of great inaccuracy. Competition authority intervention could cause distortions that undermine incentives to continue making the large investments in SEPs and other IP while tilting the playing field in favour of one vested interest group or business model to the detriment of others".